NOVEMBER 25, 2018, CHICAGO, ILL.— RamSoft, Inc., the leader of RIS/PACS software solutions, is excited to announce three new Apps that they will be showcasing at this year’s RSNA: openDoctor, PocketHealth, and AuthPal / Patient Access by Availity. With the openDoctor App, PowerServer RIS/PACS can send reminders and instructions to patients via email, text, and voice, regarding their imaging appointment. This cuts no-shows, eliminates scheduler/front desk inefficiencies, and increases patient satisfaction. Patients can confirm or cancel their appointment in a simple process. After the appointment, a customizable survey can be sent, empowering RamSoft users to gather Key Performance Indicators (KPIs) and collect data to help improve their practice. The RamSoft and openDoctor integration exemplify how RamSoft dedicates itself to delivering: a better user experience, workflow automation and optimal patient care. Another way RamSoft is changing the game is with their partnership with PocketHealth, a HIPAA-compliant image-sharing platform that allows imaging providers to share DICOM imaging and reports electronically with patients, instead of burning CDs. Once patients register for their online account, they can access their complete record history, download records offline, and instantly share access with any physician in full diagnostic quality. Physicians that receive access from patients can view their images in PocketHealth’s FDA-compliant, zero-footprint viewer directly from their EMR, significantly improving referring physician satisfaction. 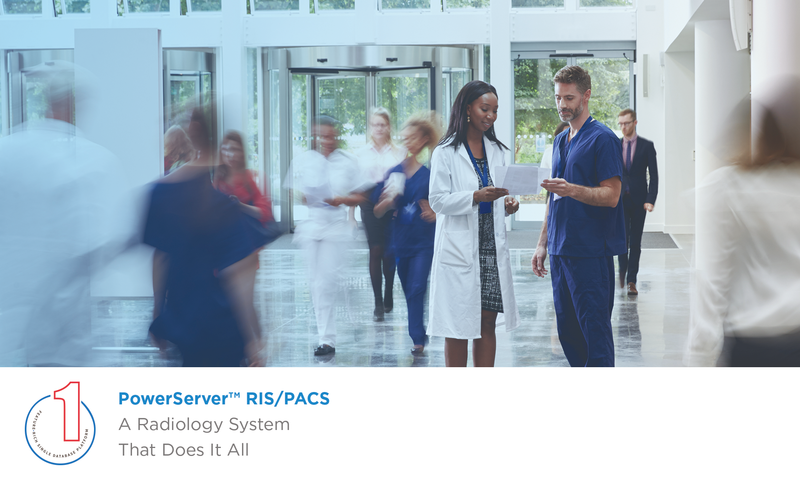 RamSoft’s PowerServer RIS/PACS pushes the limits of patient care further by automating the authorization process with AuthPal and optimizing up-front collections with Patient Access from Availity. Patient Access accurately estimates patient responsibility (pre-service) to maximize collections and ensure the best possible patient experience. It enables frontline employees to verify insurance, medical necessity, address, and identity in real-time; process payments; follow customized, online scripting tailored for each healthcare provider and patient type; generate meaningful analytics; and calculate contracts for estimating appropriate charges for a deductible, co-pay, and coinsurance.